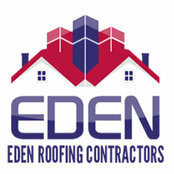 Since 1999, Eden Roofing Contractors Westchester has provided top-quality roofing work to homes and businesses in Westchester County, Yonkers, and New York City. From installation to inspection to replacement, our roofing contractors offer you only the best work for your roof. Whether you are a business owner or a homeowner in the Westchester, Yonkers, and New York City areas, you can rely on Eden Roofing Contractors Westchester to provide you with quality roofing work!